Cyber threats, it concerns us all! We have set up a new initiative to counter cyber attacks because we believe that it is essential to know every computer threat in order to know how to protect ourselves. 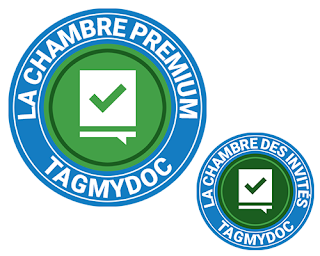 What we have set up is the Guest TagMyDoc Room and the Premium TagMyDoc Room. These 2 Rooms are a place based on constructive exchanges and a friendly collaboration between all the participants. Members of the Guest House, open to the public, will receive mainly articles popularized by our experts on cyber attacks while members of the Premium Room, reserved for TagMyDoc customers, will receive advice and best practices regarding the use of the platform in addition to receiving summaries of recent news on cyber attacks. We would be very happy to count you among our members because together we will be able to counter this cyber threat. The link below invites you to write us a note if you are interested and we will process your request as soon as possible.